﻿ The influence that a musician or band can have is a tough subject at the best of times, but it can usually be divided into two blanket categories. The first is the influence within music itself, relating to how readily a specific sound has been adopted and where it can be traced back to; the second is the larger cultural impact, and how the likes of Kendrick Lamar or Donald Glover have encapsulated a zeitgeist and public opinion within their music, essentially putting a cultural face to issues and topics much bigger than themselves. As for Chvrches, their influence has always been deeply ingrained in the former, second to only The 1975 in shaping the modern synthpop and indie-pop landscape. However, as a title like Love Is Dead would suggest, the trio’s third album is aimed directly at the harshness of the wider world, driven by Lauren Mayberry’s history of activism and social justice campaigning for their most staunchly political work to date. And immediately there’s bound to be plenty of people sticking their noses up at this, saying that Chvrches are only a pop band, and pop music should stay out of politics and stick to simple, disposable fun. But really, given the audience that it reaches and the likelihood that the messages will stick when presented in this more accessible manner, why shouldn’t pop embrace harder-hitting subject matter more often? That definitely seems to be the stance that Chvrches have taken, and thus accounts for the tired resignation of societal divides on Miracle and stern, no-nonsense approach to misogyny on Heaven / Hell. Mayberry especially shines in this regard, with her typically oblique lyrics having all the more packed into them, and a sense of vocal conviction and kinesis on a track like Graves that she can really pull off. It also offers some extra barbed spice to the more relationship-focused tracks, particularly My Enemy, where Mayberry circles around The National’s Matt Beringer over a surprisingly dark, brooding bed of electronics. It’s definitely a refreshing take, one that Chvrches could easily work with more and expand a repertoire that is, in all honesty, a bit limited. And it’s a shame that’s not what they do, instead opting for a typically glossy pop sheen thanks to Greg Kurstin’s production, but feeling less euphoric as it has in the past. Of course there are exceptions, as the tight, wiry Deliverance and the explosive Graves show, and this is a typically vibrant and shimmering album whose abundance of colour is a clear benefit throughout, but Love Is Dead just does less overall. The reliance on modern pop conventions like the thudding drop on Never Say Die proves to be a particularly poor fit for Mayberry’s glassy vocals, but from God’s Plan onwards with Martin Doherty’s dead-eyed jump into lead vocals, it simply feels like an album sapped of inspiration. This is the third time on the run that Chvrches have stuck to such a rigid synthpop framework, and clearly it’s beginning to run its course, no longer the light-dappled wonder of previous albums but now just another workable sound with little else to it. It means that Love Is Dead is definitely Chvrches’ least dazzling album to date, though for a clear sense of progression and realistic gravity within it, there’s a lot to be praised regardless. Chvrches’ formula has garnered such a cast-iron strength that it’ll be difficult for them to ever really blow it, and there’s certainly enough colour, life and adventurousness here to ensure that’s far from being the case. Even if this isn’t the earth-shattering foray into change that the trio presumably intended, to see a decidedly mainstream act like this approach these subjects in the way they have is always encouraging to see, and ultimately represents a band moving forward, even if not a lot else here does. 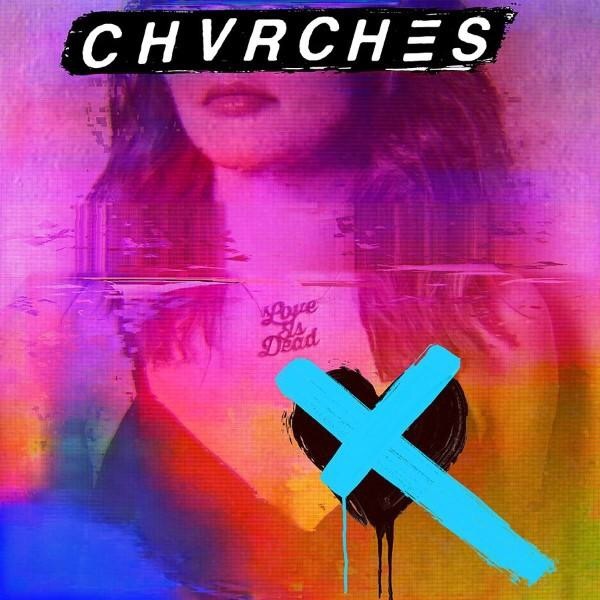 ‘Love Is Dead’ by Chvrches is out now on Virgin EMI.